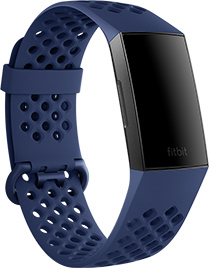 Meet Fitbit Charge 3—voted 2018 Fitness Tracker of the Year by Wareable. Charge 3 uses our most advanced heart rate sensors and algorithms to uncover meaningful insights on your heart. Know how many calories you’re really burning and use what you learn to reach your goals. See when you’re in Fat Burn, Cardio or Peak zones to make the most of every workout. See how long you’re in light, deep and REM sleep and get personalised insights to learn how to get better rest. 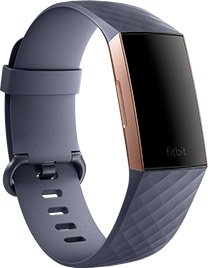 Use Fitbit Charge 3 with the Fitbit app to track periods, record symptoms and estimate ovulation and fertility windows. Set goals, find inspiration, connect with friends and get a snapshot of your health and fitness all in one place. Exercises like runs, swims, elliptical, sports and more are automatically recorded for you with SmartTrack. 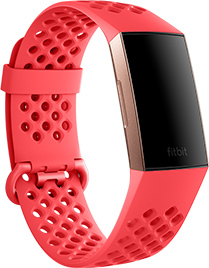 Choose from run, bike, swim, yoga, circuit training and more, then set a goal and get real-time stats. Connect Charge 3 with your phone&apos;s GPS to see pace and distance on screen during outdoor runs and rides. Charge 3 is water-resistant up to 50M so you can track time in the pool or wear it in the shower. Know how long you’ve been active throughout the day and get the nudge you need to move if you’ve been sitting for too long. Find moments of calm throughout your day with guided breathing sessions based on your heart rate. This advanced health and fitness tracker is packed with smart features that are compatible with iPhone, Android and Windows phones. Windows compatibility coming soon. 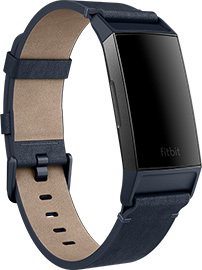 With Fitbit Charge 3, everyday smart experiences like calendar and weather are just a tap away. Calendar app coming soon. Get call, calendar, text and smartphone app alerts. Plus, send quick replies to messages (Android only). Add your cards to the Fitbit app, then use Fitbit Pay to make easy, secure payments on-the-go. Only on special editions. A multi-day battery life keeps insights and inspiration coming day and night. Varies with use and other factors. The large, back-lit display automatically adjusts to lighting conditions so you can easily see stats at any time of the day. 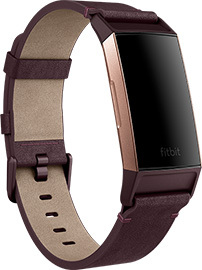 Premium hand-crafted Horween leather bands give your Charge 3 a sophisticated look for any occasion. Soft, breathable and durable silicone sport bands make it easy to take your Charge 3 from work to workouts and everywhere in between. 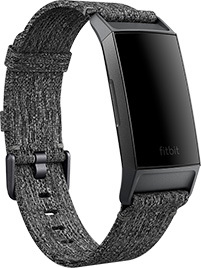 Flexible, comfortable and stylish, Charge 3 woven bands are the perfect accessory for life on-the-go. ◆ Coming soon. Available only on special editions. 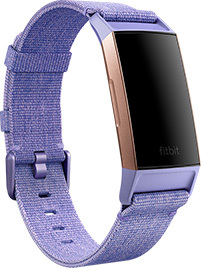 See availability at fitbit.com/fitbit-pay/banks.